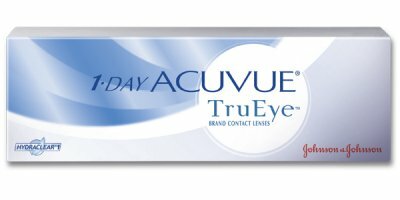 1 Day Acuvue TruEye Contact Lenses are FIRST daily disposable contact lens made in breathable silicone hydrogel material. BUY THREE BOXES FOR $36.00 each. Healthy wear daily replacement contact lens. Narafilcon A - an innovative silicone hydrogel material saturated with a locked-in super smooth wetting agent. Narafilcon A delivers 98% oxygen flux to the cornea.